MONDAY, Dec. 21, 2015 (HealthDay News) -- A crackdown on "pill mills" in Florida appears to have led to fewer overdose deaths from narcotic painkillers, and may have helped reduce heroin overdose deaths as well, researchers report. Pill mills are clinics run by doctors who purportedly write large numbers of prescriptions for narcotic painkillers for cash, often without examining the patient, the researchers said. These painkillers include Oxycontin, Percocet and Vicodin. After Florida officials began their crackdown on pill mills, more than 1,000 fewer deaths occurred over 34 months, the study revealed. "Curbing the operation of pill mills may be an effective way for states to reduce prescription narcotic overdose death rates and total narcotic overdose death rates," said lead researcher Alene Kennedy-Hendricks, an assistant scientist at Johns Hopkins Bloomberg School of Public Health in Baltimore. Deaths from narcotic painkillers and heroin have reached epidemic proportions, and pill mills are a major source of the problem, she said. Findings from the study were published Dec. 21 in the American Journal of Public Health. Although the study found a link between the new, tougher laws and a reduction in overdose deaths, it didn't prove a definitive cause-and-effect relationship. The study authors said that 90 out of 100 doctors who purchased the most oxycodone in the United States were from Florida in 2010. Meanwhile, another study -- this one from the Dec. 14 JAMA Internal Medicine -- found that primary care physicians are by far the biggest prescribers of narcotic painkillers. Deaths from drug overdoses recently hit a new high, a Dec. 18 report from the U.S. Centers for Disease Control and Prevention said. Last year, more than 47,000 Americans died from drug overdoses. More than six out of 10 overdose deaths involved narcotics, including prescription painkillers and heroin, the CDC research showed. In 2010 and 2011, Florida passed laws giving the state oversight over pain clinics. They also restricted the prescribing of narcotic painkillers. At the same time, drug enforcement programs resulted in the arrest and prosecution of doctors operating these clinics, the researchers said. Overdose deaths aren't only from narcotic painkillers, Kennedy-Hendricks said. They also involve deaths from heroin. But as deaths from painkiller overdoses declined, deaths from heroin also went down, she said. Some people are concerned that interventions to stop the non-medical use of prescription narcotics might produce unintended consequences, she added. For example, people addicted to narcotic painkillers might switch to heroin if their supply of prescription narcotics becomes restricted or too expensive, she said. "However, we found that the state actions were associated with much lower total narcotic overdose death rates than we would have expected had Florida not implemented these interventions. It is possible that these actions targeting pill mills prevented new prescription narcotic addictions from developing, thus reducing the risk of heroin use," Kennedy-Hendricks said. Closing pill mills might be a good strategy, not only for reducing deaths from painkiller overdoses, but also reducing deaths from heroin, she said. "States with high prescription narcotic overdose death rates should consider the extent to which pill mills are operating within their state," Kennedy-Hendricks said. The study compared Florida overdose trends to those in North Carolina. The researchers looked at the trends before and after pill mill laws were enacted in Florida. North Carolina has had similar trends in prescription painkiller overdose deaths, the researchers noted. There were nearly 12,000 deaths in Florida and more than 3,700 deaths in North Carolina from narcotic painkillers or heroin between 2003 and 2012, the researchers said. Over the nearly three years included in the study, an estimated 1,029 lives were saved in Florida, the investigators found. Moreover, the number of lives saved grew each year as new measures were taken to close pill mills, the researchers said. From March until December 2010, the death rate from prescription painkiller overdoses in Florida was 7 percent lower than expected. In 2011, the rate was 20 percent lower and in 2012, 34.5 percent lower, the study found. Deaths from heroin overdoses rose in both Florida and North Carolina starting in 2011. But, Florida's rate was lower than had been anticipated, the researchers explained. Dr. Scott Krakower, the assistant unit chief of psychiatry at Zucker Hillside Hospital in Glen Oaks, N.Y., called cracking down on pill mills a step in the right direction. 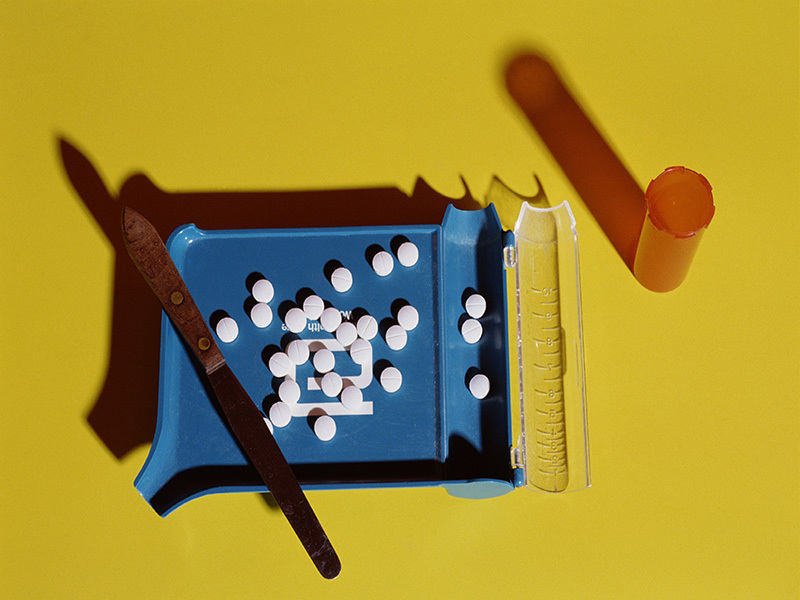 "Other states should follow similar preventive strategies to help stop pill mills," he said. Krakower also suggested greater access to naloxone, a drug that can reverse the effects of an overdose. He added that resources to treat narcotic addiction are still lacking, especially among the most vulnerable -- college students and young adults.